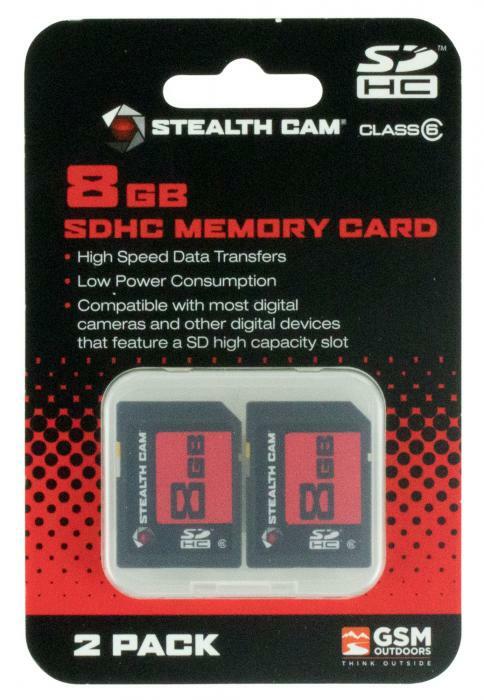 Stealth Cam's SD Memory Card features a speed class of 6 and 10 for higher speed data transfers and lower power consumption. It is compatible with compatible with most digital cameras and other devices that feature a SD card slot. This model is a 8GB and comes in a pack of two.